Moink and Omaha Steaks are both hugely popular meat delivery services that go out of their way to keep their customers happy. However, they are designed with different carnivorous appetites and preferences in mind. To help you identify the strengths and weaknesses of both services and decide which one of them you should opt for, we have designed this convenient Moink VS Omaha Steaks comparison. For over a century, Omaha Steaks has been providing hand-cut, natural meat of superior flavor. Shop at your leisure and enjoy juicy steaks, burgers, charcuterie, healthy seafood, gourmet meals, sides, appetizers, desserts, fine wine, and more. 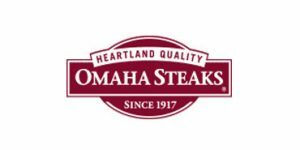 At Omaha Steaks, you can get high-quality beef, bison, veal, pork, lamb, and poultry. You can opt for steaks, roasts, ribs, gourmet burgers, franks, brats, bacon, ham, BBQ items, and much more. However, the company does not sell animal products like organs and fats. Omaha Steaks provides both premium and budget cuts. Its offer includes high-quality products like grass-fed, dry-aged, and Wagyu beef. All the meat is naturally raised and free from harmful artificial substances. Every meat product is hand-cut by the company's in-house buchers. Omaha Steaks does not only deliver meat but also brings you fresh-frozen seafood, prepared and ready-to-cook meals, sides, appetizers, desserts, and wine. Meal options include gluten-free, ketogenic, Paleo, and low-sodium. Since Omaha Steaks ships over 14 million pounds of beef alone every year, it sources its products from farms all across the country. However, it focuses on meat that is naturally grown and naturally aged. Its offer primarily includes grain-fed meat, but you can also opt for grass-fed beef. All the seafood is responsibly sourced from oceans worldwide. With Omaha Steaks, there are no subscriptions, you can shop as often as you wish and order as much food as you need, with no minimum order. All the items you receive from Omaha Steaks come with a 100% satisfaction guarantee. If you are not happy with your order, reach out to customer service and request a refund or a replacement, whichever suits you better. Omaha Steaks charges $17.99 - $21.99 for shipping within the continental US. The costs depend on the value of your order. Additional fees apply to shipments to Hawaii and Alaska ($39.99 per delivery), Puerto Rico ($39 per delivery), Canada ($42.99 per delivery), and the US Virgin Islands ($125 per delivery). Omaha Steaks ships to all 50 US states, Canada, Puerto Rico, and the US Virgin Islands. For over 100 years, Omaha Steaks has been one of the most popular and trusted meat delivery services in North America. Join us as we browse the shelves of its online store and discover what kind of meaty delights, decadent treats, and fine wines are included in its offer and how much they all cost in this thorough Omaha Steaks review.